The. Countdown. Is. On. 11 days, and I’m a married woman. People keep asking me if I’m nervous… and I’m definitely anxious but moreso about the wedding itself. Since it’s a destination affair, I’m most worried about forgetting something at home. I’ve shipped some of the essentials over to the venue ahead of time, but there are a lot of little things that could easily fall through the cracks. If you’re on your way to the big day, check out this list of essentials and conveniences to put on the packing list! Keep scrolling for my full wedding packing list so you can finish your own. You might be prioritizing how to transport your dress to your venue, but don’t you dare forget your undergarments! I’ve got two types of undergarments I’m packing, actually— a Maidenform bra and Maidenform shapewear… though I think my decision is to go with the shapewear. Especially because my wedding falls during that bloaty time of month, it’ll help smooth my tummy, waist, hips and back for the best fit. It’s also made with cooling fabric so I don’t have to worry about overheating. My favorite part is how the shapewear has a skirt, which keeps the silhouette smooth. The low back of the DM1007 style is perfect to hide under my dress and you can choose your best strap option. I also feel more comfortable in my wedding dress with the Maidenform shapewear on as it helps create a barrier between my skin and the heavy dress fabric. I’m a bit superstitious myself, and I fully intend to have something old, new, borrowed and blue on me during my wedding day. Something new will be my dress, something old will be my great-grandmother’s wedding gloves, something borrowed will probably be improvised day of, and here’s my something blue. 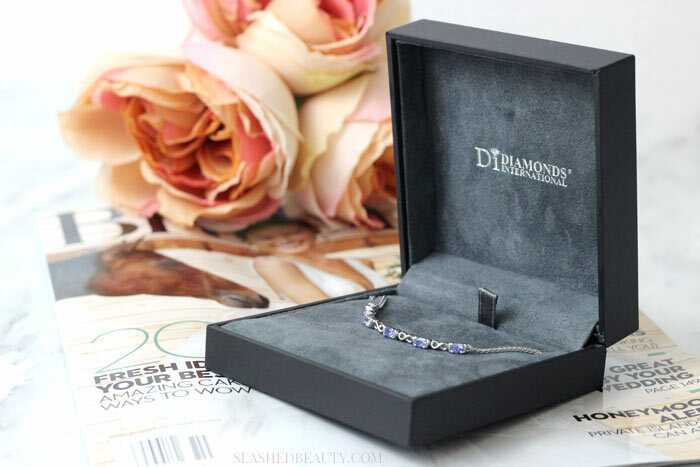 This dainty Safi Kilima Tanzanite bolo bracelet from Diamonds International is the perfect way to work blue in, especially when it’s not part of your wedding color scheme already. The unique design features the tanzanite stones in silver with infinity symbols in between. I like simple bridal jewelry, and this is still sophisticated with the option for different carat sizes. This would also be a great day-of gift for brides or moms! So I am the QUEEN of forgetting to tweeze/shave before leaving on a trip and not bringing any of the necessary tools once I’m away. 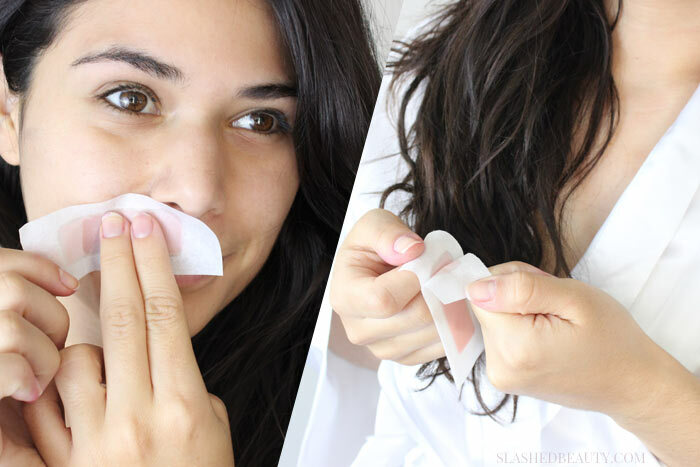 For the big day, I’m throwing the Nair Wax Ready Strips for Face & Bikini in my bag. 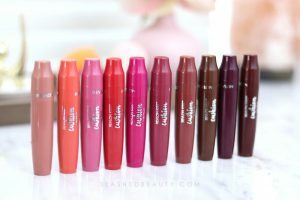 They’re easy to use, mess free and fast. You just peel and place without warming or rubbing for mess-free application. As with all Nair Wax, it’s very important to do a patch test before using— especially before your wedding day! Also, don’t let these strips sit on your skin for very long; they adhere right away and should be pulled off quickly. You’re left with results that can last up to 8 weeks… perfect for the honeymoon! You can win your own box of Nair Wax Ready Strips for Face & Bikini by entering below! Would be a great test run for the big day. Something that I actually didn’t start thinking about until recently are what specific “shots” and poses I want my photographer to capture day-of. If you’ve got a pro, they’ll be able to cover all the basics. If you want any specific locations at your venue or unique photo ideas, though, it’s important to communicate that ahead of time. 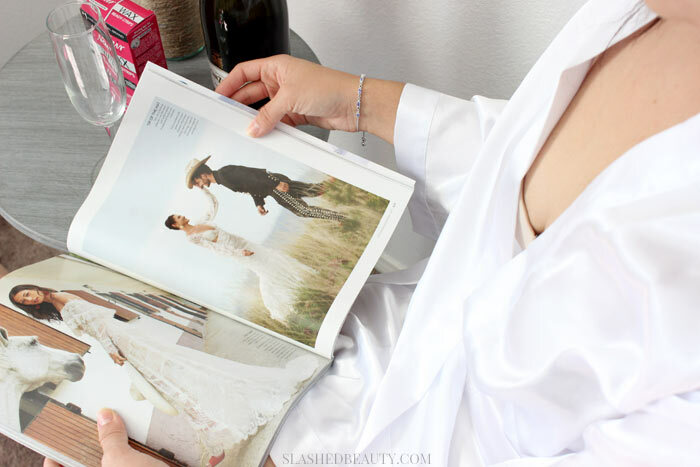 I’ve been skimming the latest BRIDES Magazine for photo inspo. It’s one of those wedding magazines that has it all. I love the planning advice, but it also has great wedding picture inspiration to show off your dress, rings, and poses to recreate with your partner. If you’re recently engaged, or your wedding day is quickly approaching, subscribe to BRIDES to get some great ideas for your own big day. 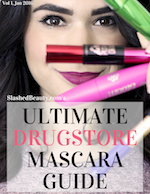 You might be super focused on all the day-of essentials, but don’t forget about the fun stuff! Bring a bottle of bubbly to pop when getting ready with your girls— they’re the ones who have been with you through thick and thin, so make them feel a little special with a toast. Grab something you might not have all the time, like Cinzano Prosecco. 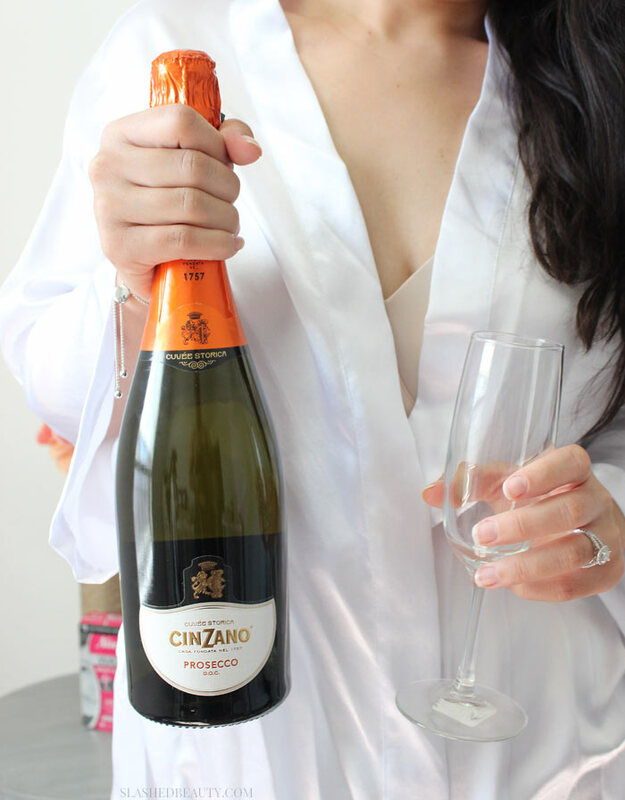 Cinzano is one of Italy’s most iconic brands of sparkling wine (from Piedmont, Italy) and makes for the perfect glass of bubbly for a special occasion. I love how fresh and fruity it is, great for a mimosa to start off one of the best days of your life! As far as the rest of the essentials? 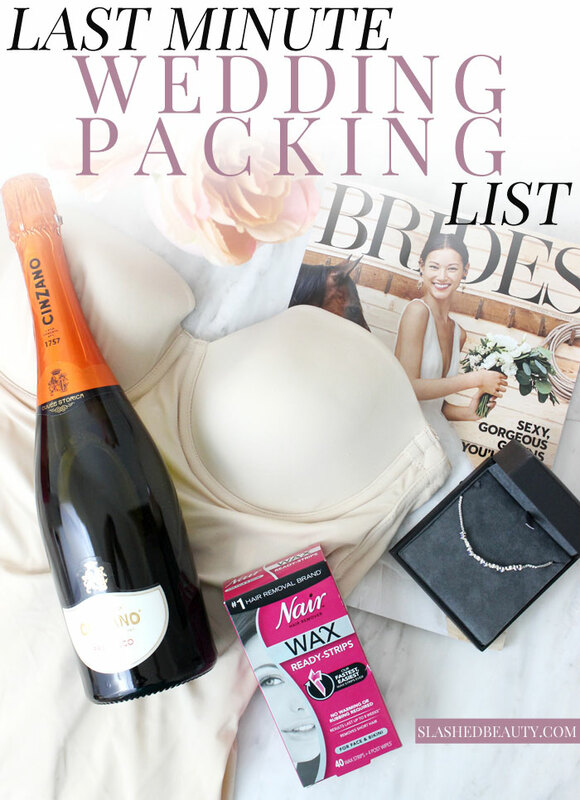 Well, here’s my full wedding packing list, which might spark some reminders for yourself! What other last-minute items could you add to your wedding packing list? I know I haven’t been around much and commenting lately, but I want to say “Congratulations!” and wish you a wonderful wedding day! Aw thank you so much Rachel!! Means a lot!! So many essentials here! You are getting so close to the big day! I need to go shapewear shopping with you! Love your picks. You are so organized I can’t imagine you would forget anything. Good luck and I know you’ll have a wonderful and memorable wedding! Sounds like you have everything covered! Don’t forget aerosol deodorant for any last minute stress induced sweat! It’s so exciting that the wedding is so close. You have things under control so try not to stress. I’m sure it will be just beautiful. 11 days, woohoo! I can’t believe you’re blogging up to the almost last minute. Good luck beautiful bride! A tote bag. Like, a canvas one for tossing crap into. It happens.